To set the mood for a green baby shower, it’s important to pick the right location for the shower. 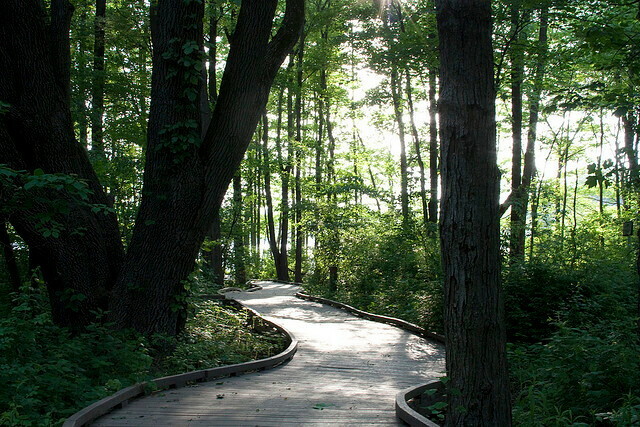 An outdoor setting such as a backyard, garden, the beach, or picnic area is perfect. Other ideas for shower locations would be: a vegetarian or organic restaurant, a public nature center, a local zoo or aquarium, or even a campground. If the shower needs to be hosted indoors, you can “green” up your space by adding greenery, flowers, bamboo, branches, and other earthy decorations to set the mood. To make the shower really cool, get creative and make your own decorations from items around your house, backyard, or out of anything you can recycle. Here are a few ideas. Make garland with a string of twine and clothes pin decorations like dried leaves or flowers; strips of remnant fabric, old t-shirts, or denim; baby clothes; or ultrasound pictures on it. Make flower vases out of aluminum cans or mason jars. Cut a paper bag into strips and create your own label for your cans or jars. You can decorate these by writing a simple message on them or cut out felt or fabric decorations (like a pink heart or a onesie) and glue them to the label. Add more green to your decor by placing stones, pieces of wood, small potted plants, soy candles, sea shells, pine cones, or any natural element you can think of around the room. When it comes to the table, think reusable or biodegradable. 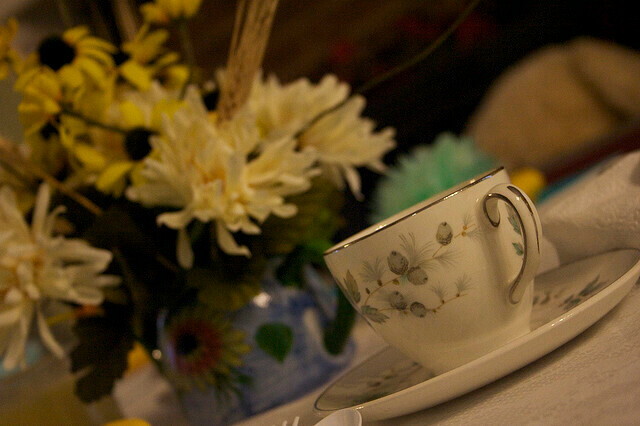 You can use your own tableware – tea cups, saucers, plates, etc. and just wash everything after the party. If you want to go with something that requires less clean up, consider purchasing compostable plates and tableware. Branchome.com has compostable tableware party kits perfect for planning an eco-friendly baby shower. Another site, ecopalm.com, offers biodegradable tableware that can be used a few times and then composted. Cover your table with a cloth table cloth and use cloth napkins for your place settings. You can also use folded up burp cloths for napkins. The mom can then reuse these once they’ve been washed. 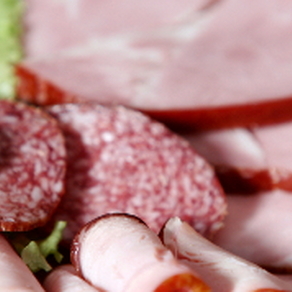 Plan your menu around organic and vegetarian food choices. Tea sandwiches made with freshly sliced veggies, organic cheeses, or homemade spreads are great foods for this type of shower. 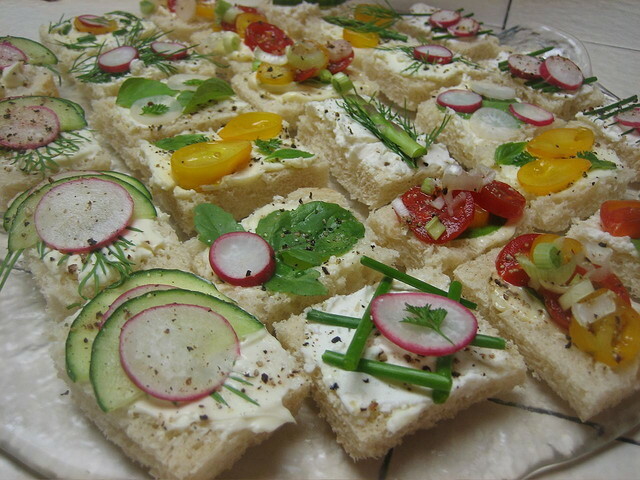 Provide a variety of premade sandwiches or appetizers along with recipe cards for your guests to take home with them. This is a nice way to spread the word about environmentalism to your guests and will give the mom-to-be some new eco-friendly recipes to add to her collection as well. 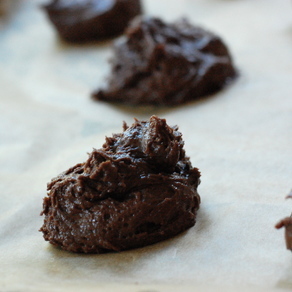 Send your guests home with some earthy party favors. Recycled baby food jars are perfect for designing party favors. Fill them up with organic candies, herbal teas, spice mixes, or anything eco-friendly. Decorate them with old buttons, paper scraps, felt, recycled cardboard or anything you have around the house. Make goodie bags out of cloth or felt. If you’re not crafty, you can buy eco-friendly goody bags at websites like www.greenplanetparties.com. 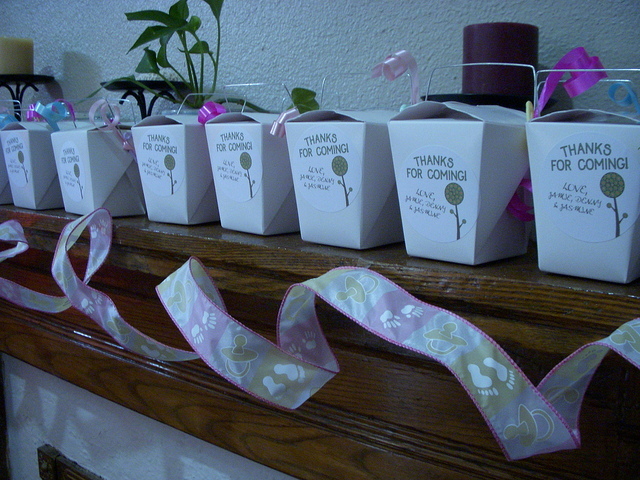 Another idea that’s very popular is environmentally friendly seed favors. You can make them yourself by taking seed packets and placing them inside a bag made of recycled paper and decorating it, or you can buy them at sites like www.abcfavors.com, www.beau-coup.com or pwponline.com. Even though your shower is eco-friendly themed, guests attending the event may not know a whole lot about the green lifestyle. Here’s a chance to educate them on natural living and have fun at the same time. Try playing a cloth diapering or natural parenting game. See who can pin a cloth diaper on a stuffed animal the fastest or play a natural parenting trivia game. The guest who answers the most questions correctly wins a prize. Word searches, word scrambles, ABC, and bingo games are fun too. If you print anything out make sure to print them on recycled paper. Guessing games are another option. Play pre-recorded lullabies and see who can guess the name of the tune first or fill up a Mason jar or recycled container (like a cut off milk jug or 2-liter bottle) with baby items like diaper pins, baby socks, cloth nursing pads, or wash cloths and have the guests guess how many items are in the jar. 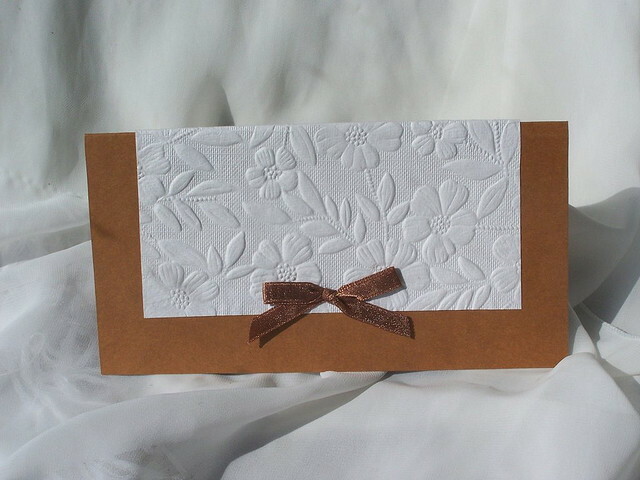 When sending your invitations be sure to explain what type of shower you’re hosting and give the guests some ideas for the types of gifts they should bring. If the mom-to-be agrees suggest items like second-hand baby clothes or gear, cloth diapers, or gifts wrapped in recycled/repurposed gift wrap. Gift wrapping for this type of shower can be a lot of fun. Some creative ways to wrap a gift include wrapping in a baby blanket pinned with diaper pins or using recycled items from around the house to wrap with like the funny pages from a newspaper, an old map, a paper bag, potato chip bags, leftover wallpaper, or an old t-shirt. 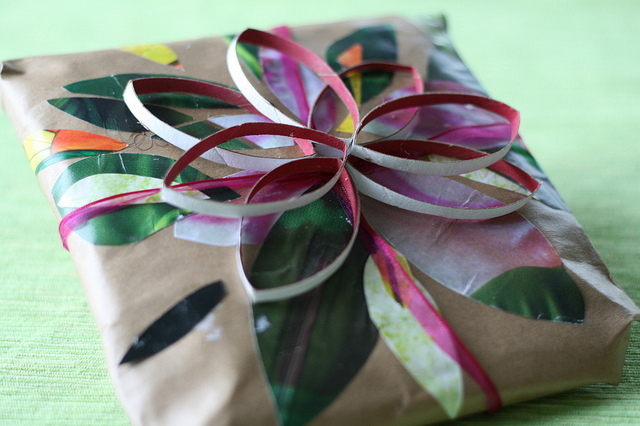 Spruce up your gift wrap by gluing or tying twigs, pinecones, wildflowers, or other natural elements to your present. Give the guest with the best gift wrap a prize. 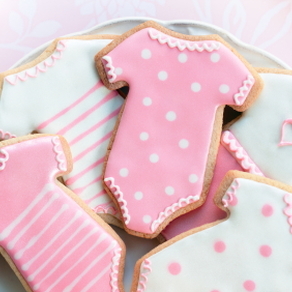 There are so many things you could do at a green baby shower. Here are a few more decorating and gift ideas. An environmentally friendly diaper cake made out of prefold cloth diapers, cloth or biodegradable diaper inserts, baby blankets, or other baby gear will make an amazing gift for the new mom. If you’re really creative, try making your own baby sock or baby onesie bouquet out of organic baby socks or onesies and other recycled items. 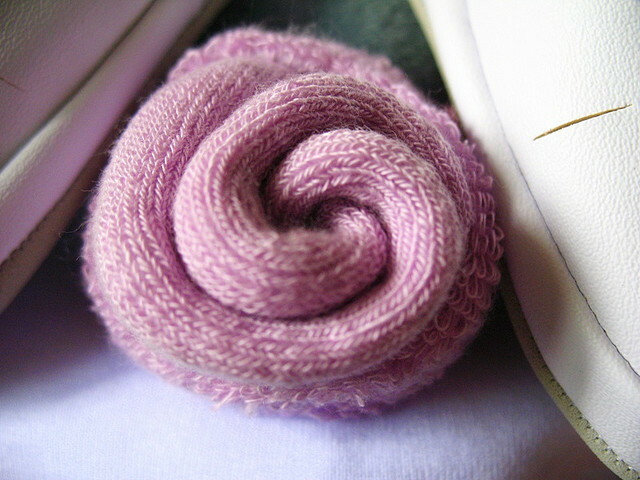 Just roll the socks or onesies into a flower bud shape and use floral tape to create a bud. Add leaves, flowers and greenery to your bouquet to finish it off. When you’re done with the shower make sure to use natural cleaners to clean up with and send your guests home feeling good about the earth-friendly event they attended.